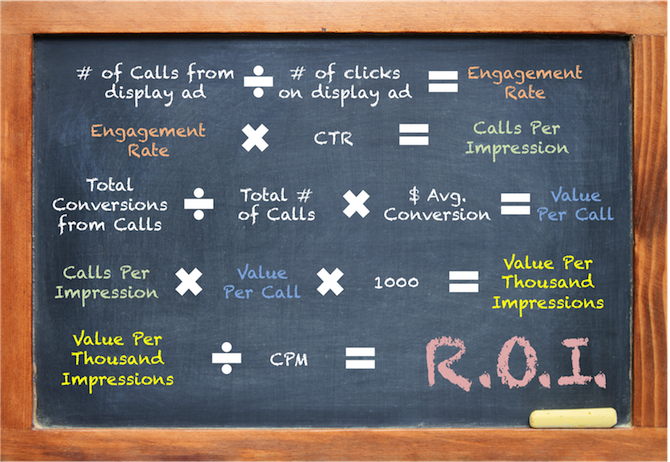 Here’s a straightforward ROI formula for calculating your returns from mobile display ad campaigns that feature tap-to-call functionality. We’ll be posting additional ROI formulas down the road to help you calculate the value of different types of mobile ad campaigns. 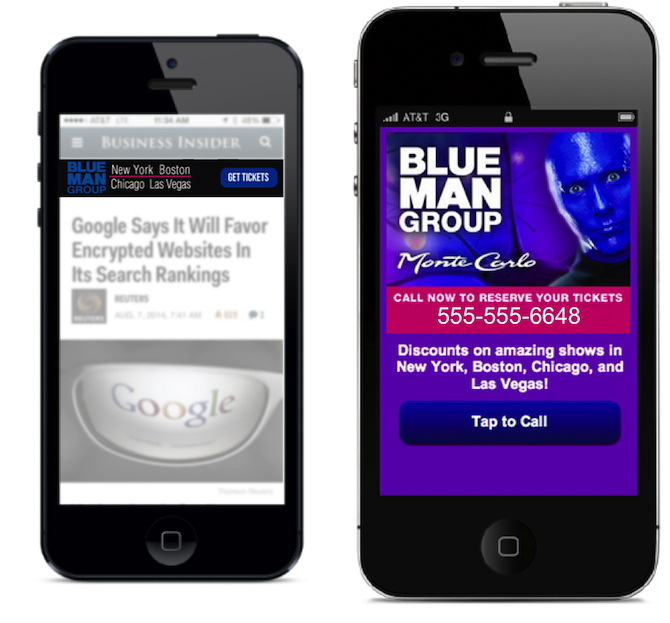 When it comes to tap-to-call campaigns, the discussion usually begins and ends with paid search advertising—but the integration of tap-to-call buttons in rich media display ads is a simple way to add measurable value. With display advertising, there is going to be additional ROI from things like the brand value and product awareness generated through audiences engaging with the creative. 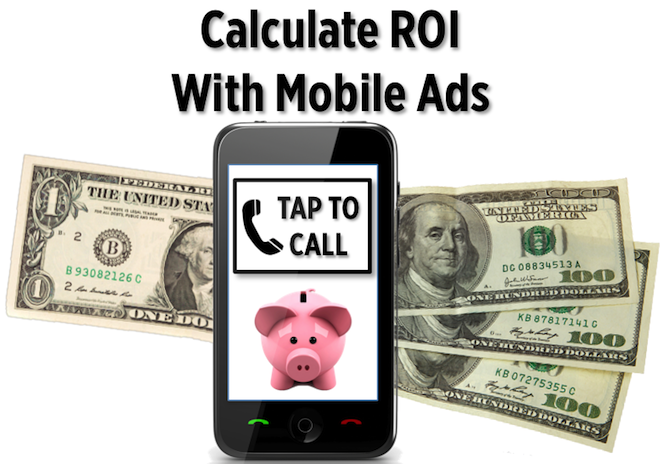 In other words, this formula does not paint the full picture for ROI from a rich media display ad campaign as a whole—it is merely a way to calculate the isolated value of the tap-to-call feature within the ad. 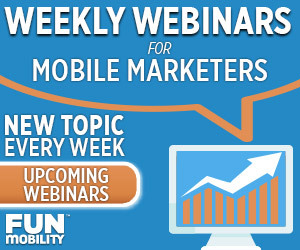 Average dollar value for conversions generated through a phone call.